NFL football has been popular for decades. Recent innovations, however, have pushed NFL interest and viewership to even higher levels. Fantasy football and online gambling, in particular, have increased fan interest in games around the league. Consider these new fan activities and the worldwide following for NFL football. Fantasy football has completely changed how many fans follow the NFL. When you join a fantasy league, you draft NFL players for your team. Each week, you play a certain number of your drafted players. Your league might require you to play a quarterback, running back, wide receiver and a team defense, for example. Each fantasy team earns points for scoring, passing yards and receiving yards. Technology allows you to join a league, select players and review how your team ranks. In fact, some fantasy league software is free. Fantasy football has developed into a gambling option for football fans. Sites like DraftKings allow you to pick a fantasy team for any week of play. You can place bets based on your team and potentially win if your fantasy team plays well. Fantasy football gambling means that you can select a team whenever you choose. You don’t have to join a league and stay commitment for an entire season. Fantasy football and online gambling have sharply raised fan interest in every NFL game each week. Your fantasy team may have players on 5-6 different teams. To follow your team’s progress, you may want to watch the scoring by multiple teams. RedZone Channel on DIRECTV allows you to watch the action for every NFL game. You get to see every play within the 20-yard line, along with a variety of other gaming details. Fantasy football fans have developed a huge interest in this technology. Fantasy football and online gambling interest make the NFL the most popular TV choice in the US. As an example, 112 million people in the US watched 2014 Super Bowl. One 2014 NFL playoff game drew a larger US audience than the Men’s World Cup soccer final. No World Series game or NBA Final game drew a larger audience than that NFL playoff game in 2014. Advertisers know that NFL games are the most effective way to reach a nationwide audience. The NFL draws interest from a broad spectrum of people. In 2013, for example, 202 million people in the US watched at least one NFL game. That total represents nearly 2/3rds of the US population. Given the NFL’s reach, many large corporations pay for the right to be the exclusive NFL sponsor for their product. Verizon, for example, has paid fees to be the official wireless carrier for the NFL. Apparel companies, such as Nike, have paid the NFL so that players wear uniforms and equipment with their specific branding. The NFL has large brand awareness outside the US. Infegy puts together an annual study of the world’s most popular brands. The rankings are based on the amount of social media posts for a brand. 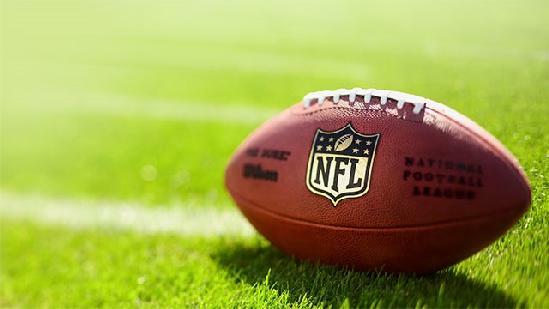 Infegy’s 2015 study points out that the NFL is one of the most popular brands in the world. Innovations like fantasy football and online gambling increase fan intensity for the NFL. The NFL continues to grow as a powerful brand in the US and internationally.